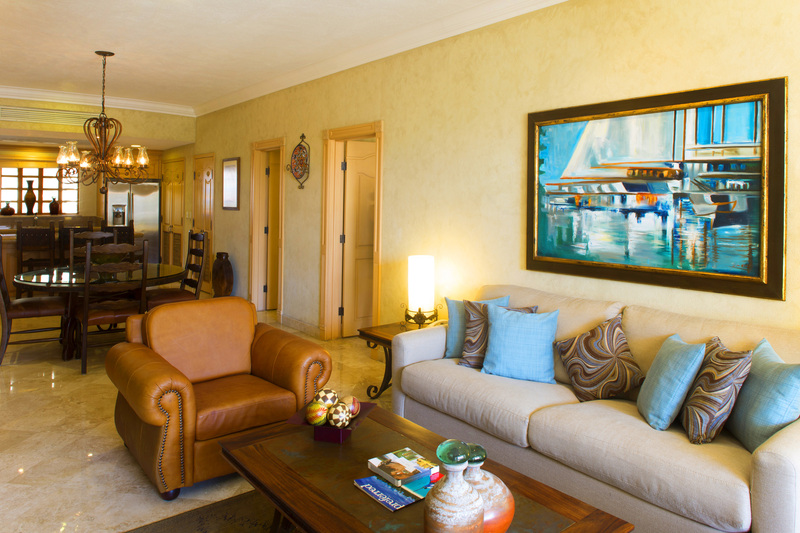 Become a resident and you can indulge in a luxury lifestyle to suit you pleasures within a comfortable yet elegant "home away from home" setting. 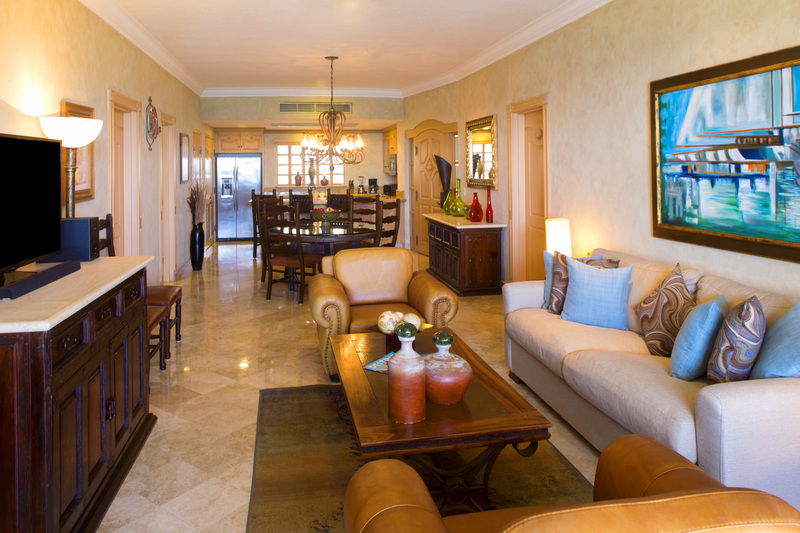 Each of our 156 luxury-appointed Villas are decorated with a colonial-hacienda style, where you can relax in spacious en-suite bedrooms, spa bathrooms, fully-equipped gourmet kitchens (including a dishwasher and washer/dryer), sophisticated lounge-diners and expansive terraces and balconies. A colonial-hacienda style entry gate made from rust-proof high end aluminium leads to a maplewood front door that opens to spacious interiors with ten foot ceilings, large inviting living rooms and generous dining and entertainment areas appointed for your utmost comfort. Windows and sliding doors showcasing ocean views are tempered with double glazing, while hardwood maple cabinetry with modern stainless steel appliances complete the full-service kitchens, and marble flooring features throughout. 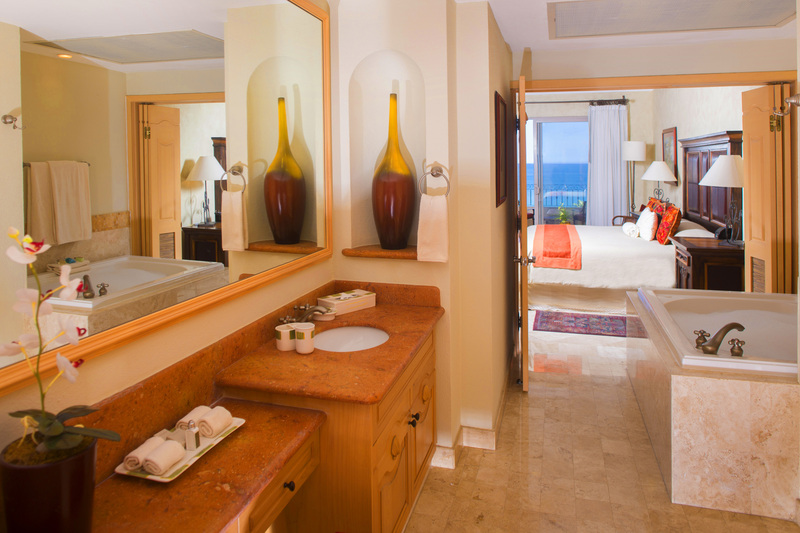 En-suite bedrooms enjoy spacious travertine marble showers, large walk-in closets, whirlpool tubs, dual vanities and marble countertops. 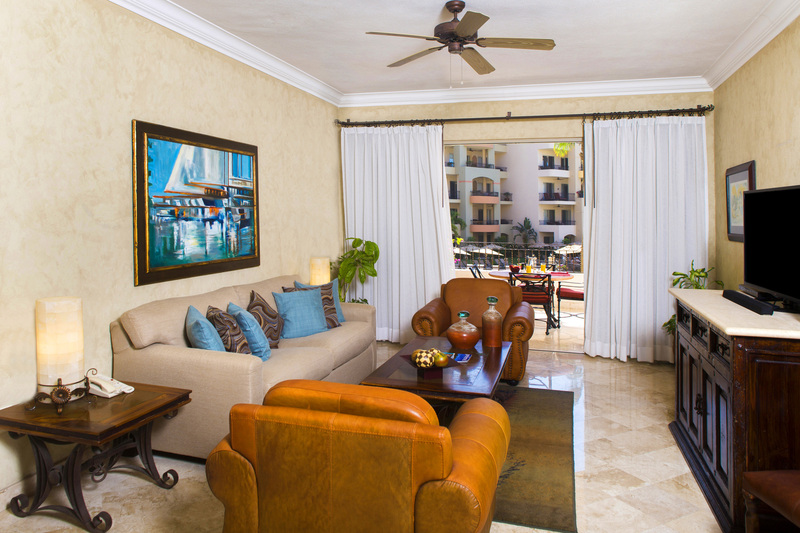 Centralized air-conditioning, satellite TV, high speed Internet and washer with dryer make you feel right at home. 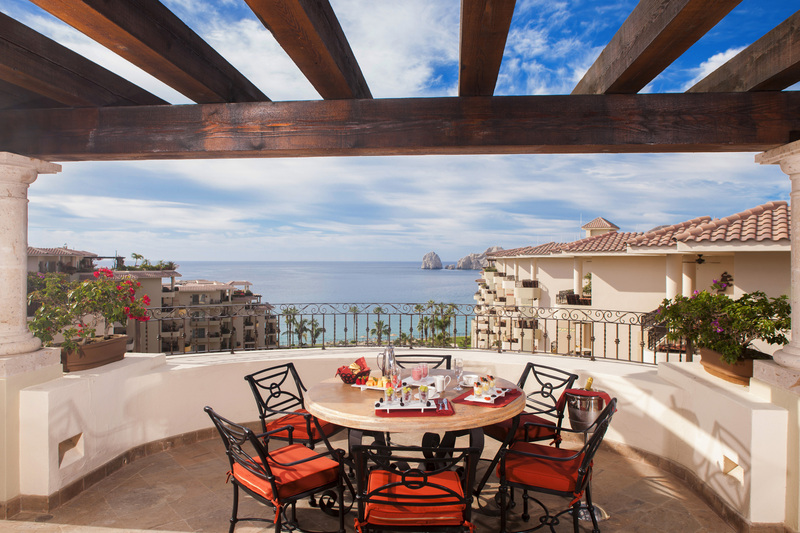 All this and more create a relaxing experience where you will never want to leave your luxury beach home in Cabo San Lucas or Nuevo Vallarta. 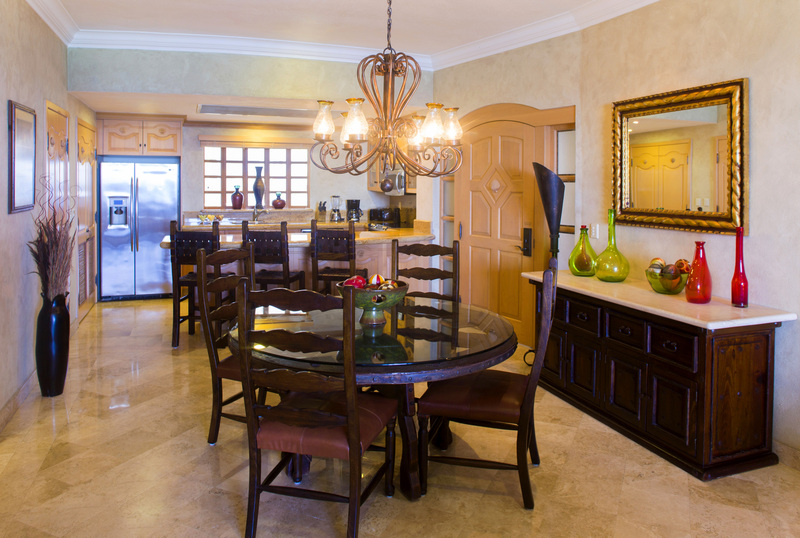 Every detail has been thoughtfully considered at this opulent Villa where we specialize in spoiling you. 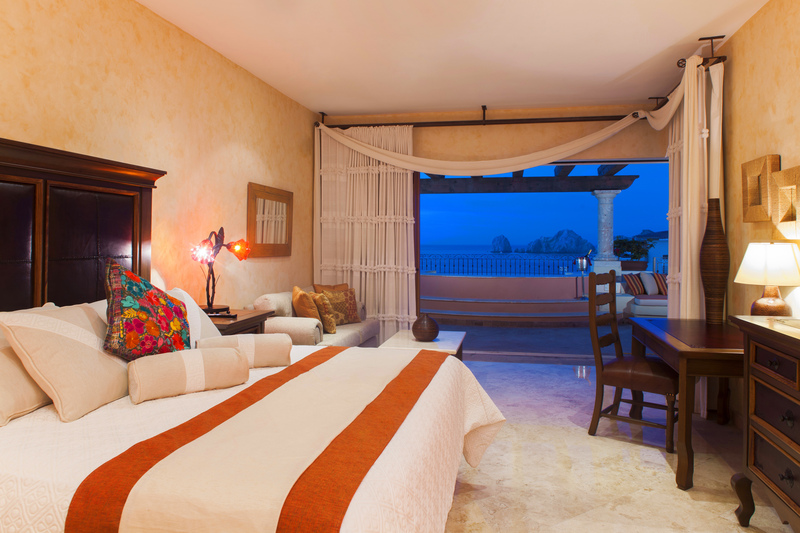 The unit features three bedrooms - two master suites with a king bed, and a guest room with two double beds. Some of the "extras" include a home theater system (including a 61" plasma TV), spacious dining room, full kitchen, and special amenities including unlimited Spa & Fitness access, terrace with jacuzzi, BBQ and fire pit. 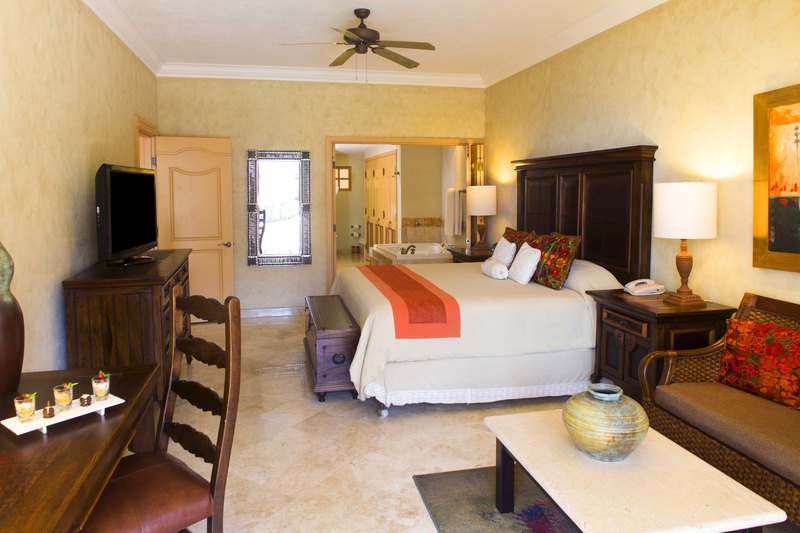 Your Three Bedroom Suite boasts two master bedrooms, each one complemented by its own master spa bathroom with marble showers, whirlpool tubs and Travertine floors. 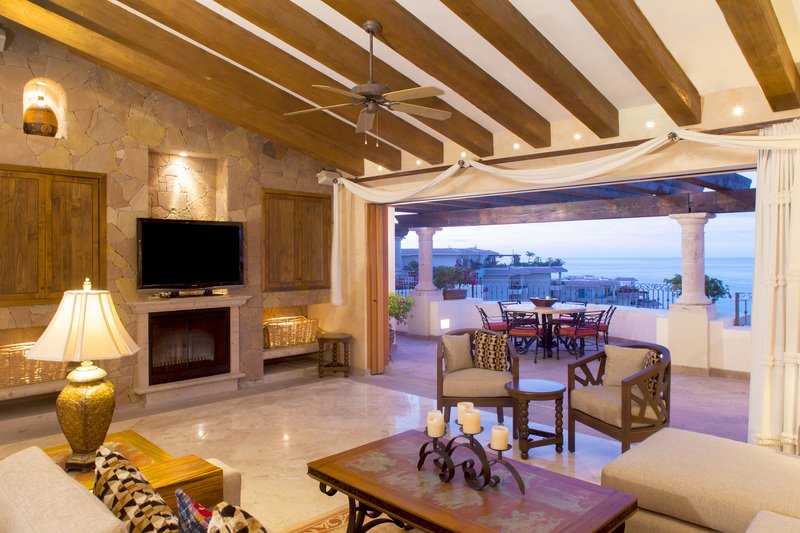 Terraces, complete with a wet bar, lead off the bedrooms and into the living/dining room where your private balcony beckons you with an awe-inspiring view. 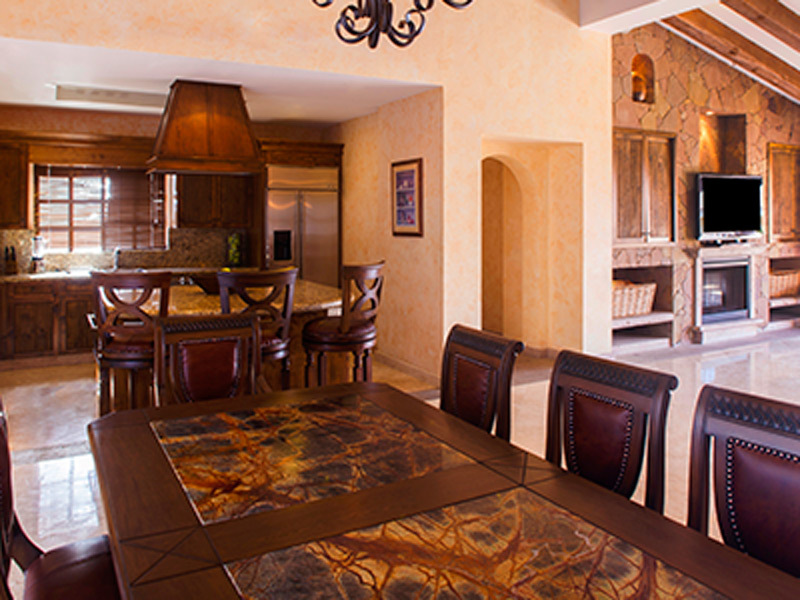 Fully-equipped kitchens complete the "home away from home" ambiance. Savor the space. 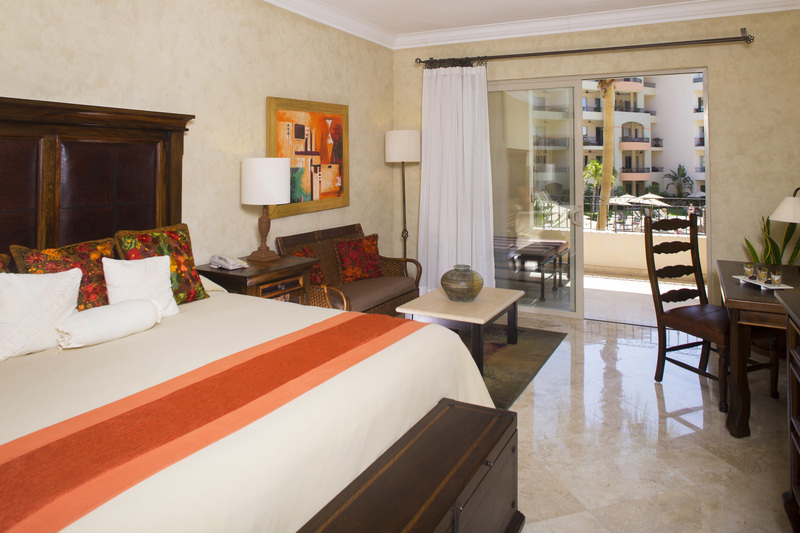 Our jewel-like Two Bedroom Suites offer all the luxuries of home and then some. 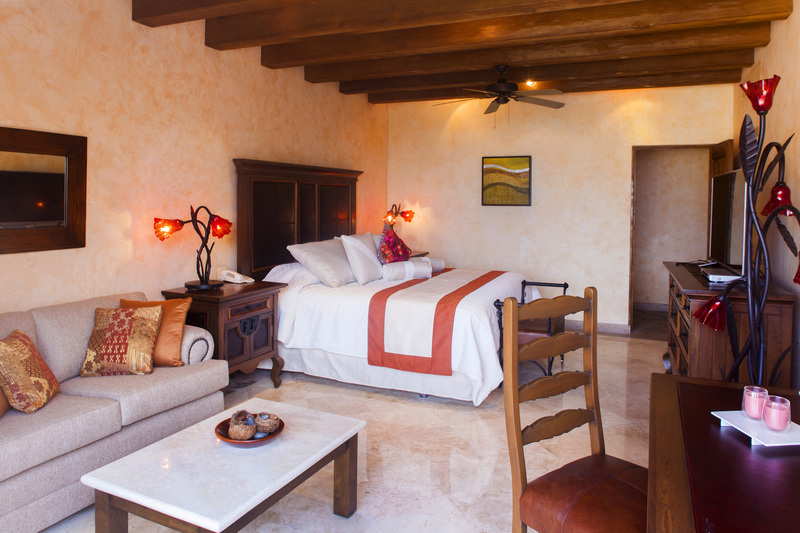 The master bedroom features a king-sized bed, adjoining master spa bathroom, and a second bedroom with two queen-size beds. A queen-size sleeper sofa is part of your living room with your terrace through sliding glass doors. 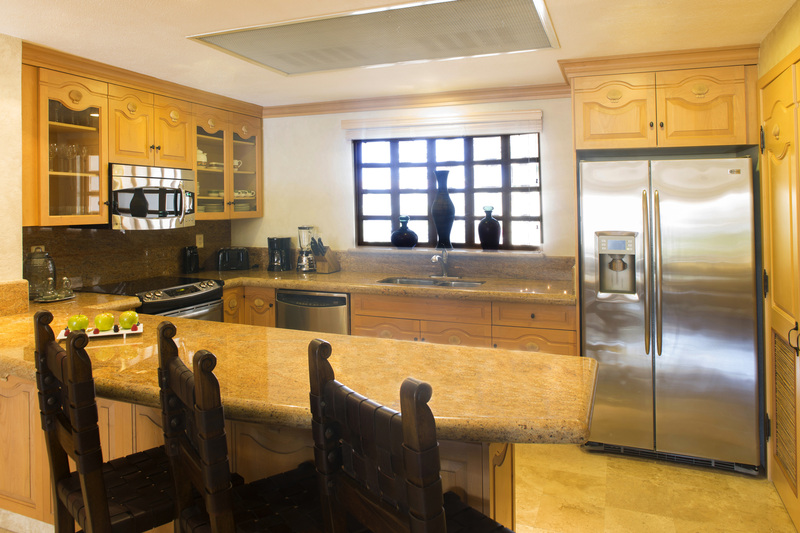 And, of course, there's the kitchen, the airy living room, the washer/dryer and the views!